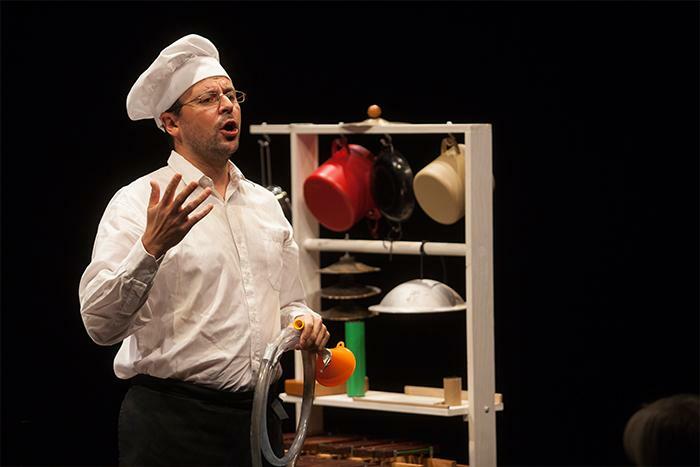 ﻿Sound Kitchen is an interactive family sound performance for children over 5 years of age. Instead of cooking food, we cook sounds. 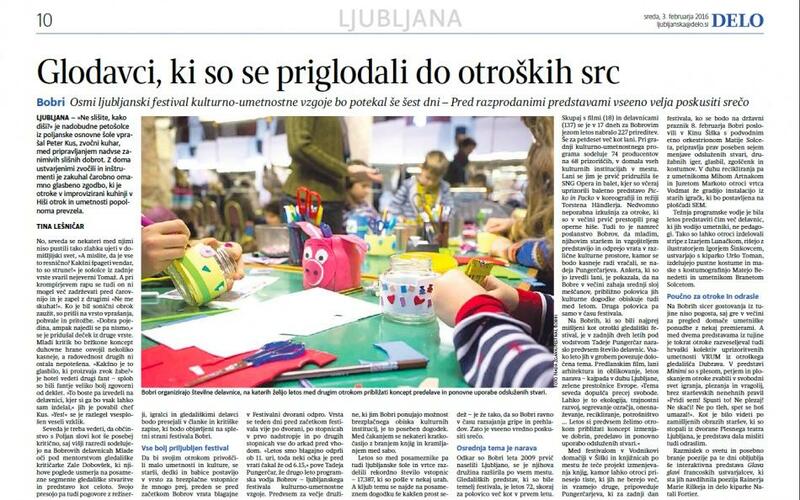 The project was supported by The Ministry of Culture Republic of Slovenia and City of Ljubljana. The idea of the show is to create an environment where the author can combine his experiences from the previous projects – sound performances where the spectator is invited to “watch” the sounds being performed at the theatre stage and interactive exhibitions where visitors can “touch” the exhibited instruments and their sounds. 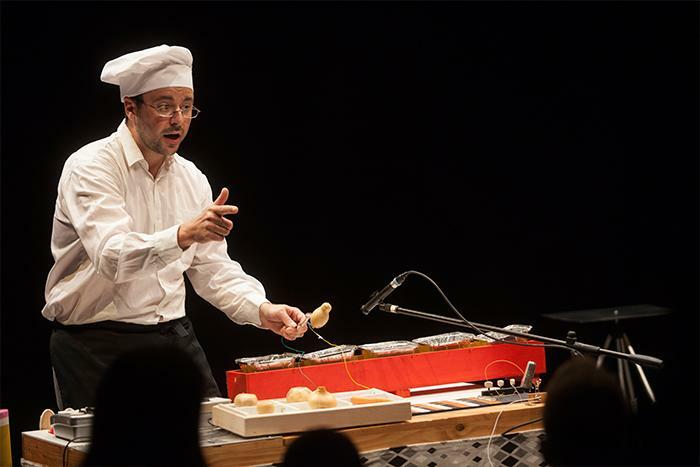 In the Sound Kitchen he emphasises different roles and manners of perception of a theatre spectator, an exhibition visitor and a listener of a concert. 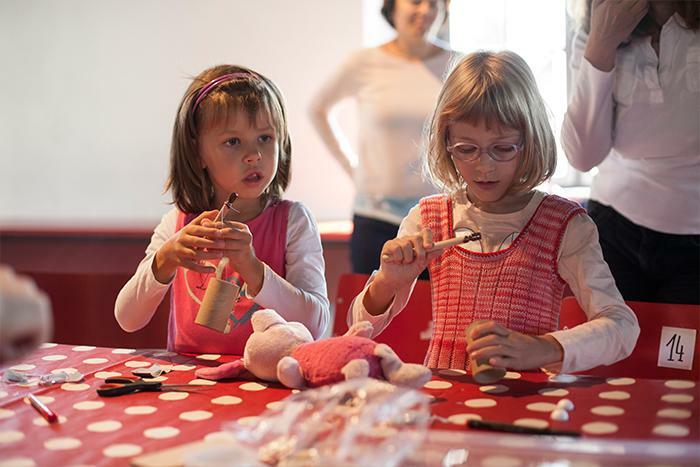 The project is designed as a combination of animated sound theatre performance and musical instrument workshop. Audience can at certain times actively participate in the performance by playing various simple instruments. Thereby they do not just observe/listen to the action but can instead become actively involved and receive a more direct physical contact with the performance. 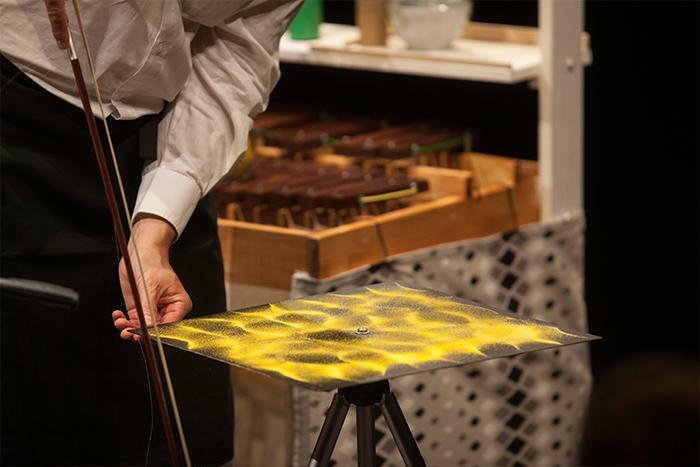 The theme of the Sound Kitchen is synesthesia, the intertwining of hearing with other senses, especially taste. 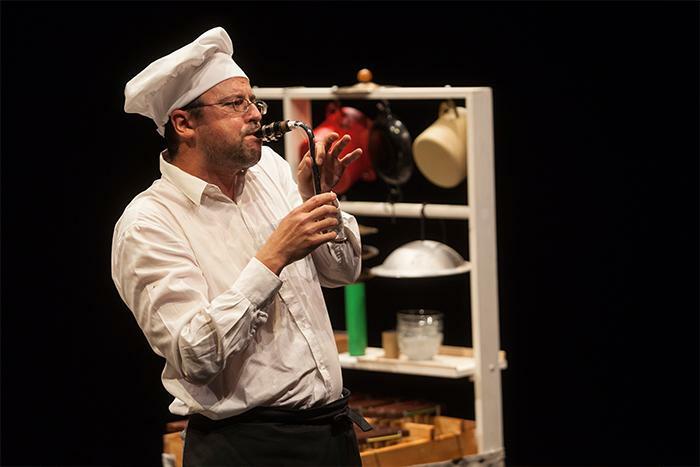 The performance is establishes connections between music and gastronomy which exist in our everyday life and culture, and combines them in a multi-sensory theatre experience. The story is placed in a kitchen, where the audience members are invited as guests. But the chef has lost his sense of taste. How can he now prepare food and cook? He discovers that he could restore his sense of taste by creating and listening to the sounds. If he is creating music, it is as he would be preparing and tasting food. Therefore he becomes musician and composer who now “cooks” sounds, tastes its infinite combinations and enjoys the delicious sound extravaganza. His mouth has become his ears. The performance follows the succession and dramatic order of a rich sound feast. It ends with the workshop where the audience can try “cooking” of some of the dishes by themselves. © Peter Kus, Živa Moškrič. All Rights Reserved.